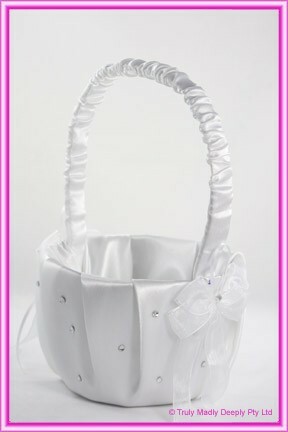 This gorgeous flower basket is fully covered in white satin and is decorated with lots of diamantes and couple of organza bows on the handles. This wedding flower basket has an internal diameter of approx. 11.5cm.